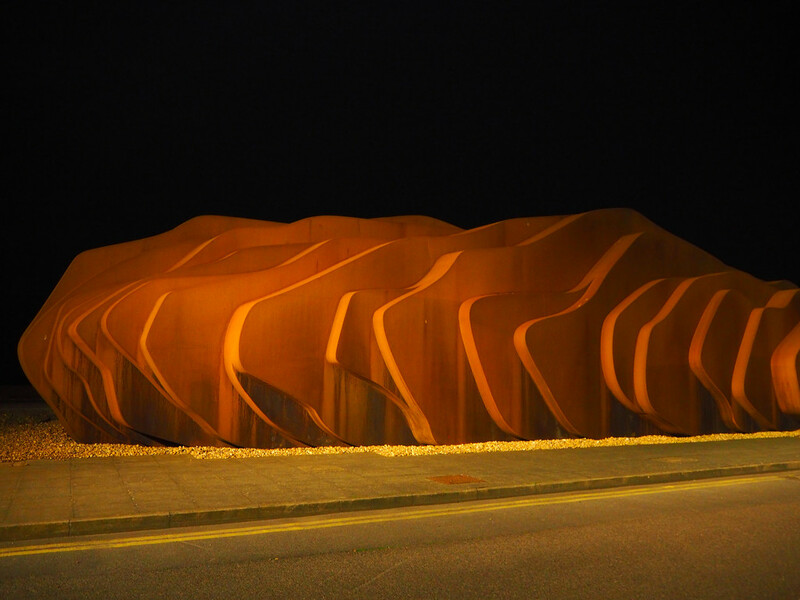 This is the rear view of the East Beach Café at Littlehampton, taken at night, when I was out walking with a friend and her dog. A very interesting shot. What an amazing building! What a fabulous building, reminds me of our sand dunes. @ellida @ilovelenses @dmdfday @onewing @carolmw @rumpelstiltskin It's a building that people either love or hate. A lot of locals think it looks like a pile of rusty metal washed up on the tide!